image courtesy of Biodiversity Heritage Library, digitized by South Australian Museum. The moths of his species have dark brown forewings with silvery markings. The hindwings are plain dark brown. The antennae are bipectinate. 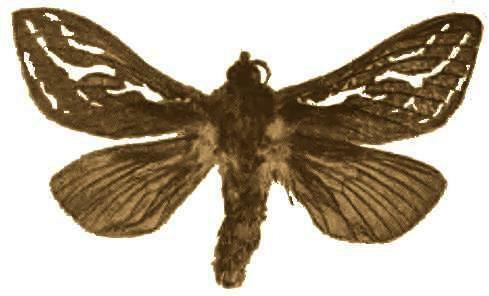 The moths have a wingspan of about 6 cms. Volume 4, Part 4 (1932), p. 508, fig. 17.